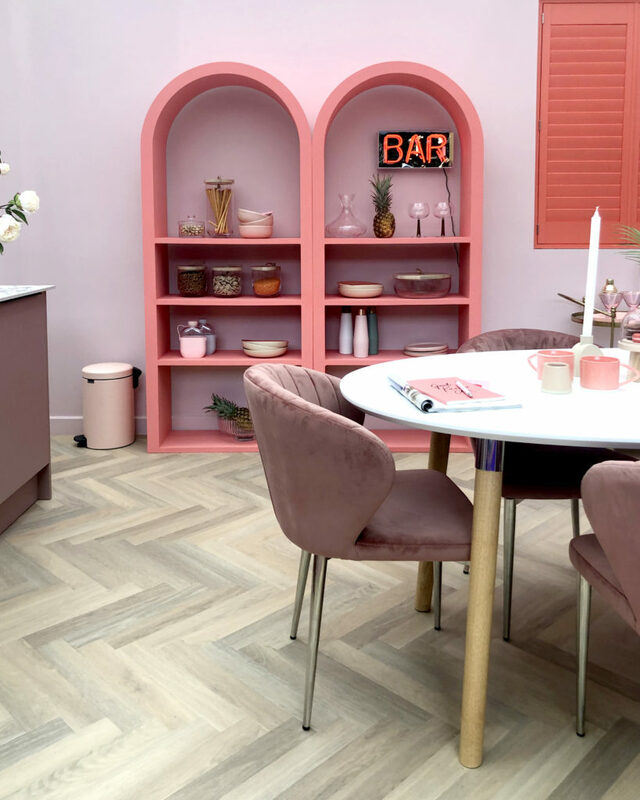 A Royal Room Set at the Ideal Home Show 2019 Featuring the Luka Dining Table and Harper Shell Velvet Chairs. 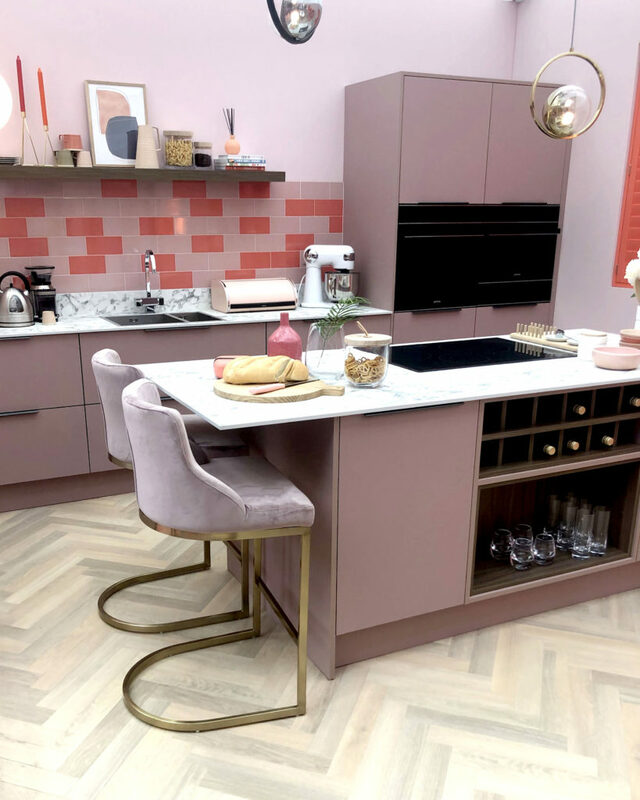 If you visited the 2019 Ideal Home Show at London Olympia, you would have seen a very eye-catching, bright and stylish kitchen room set from Good Homes Magazine and devised by Style Editor, Jess Taverner. 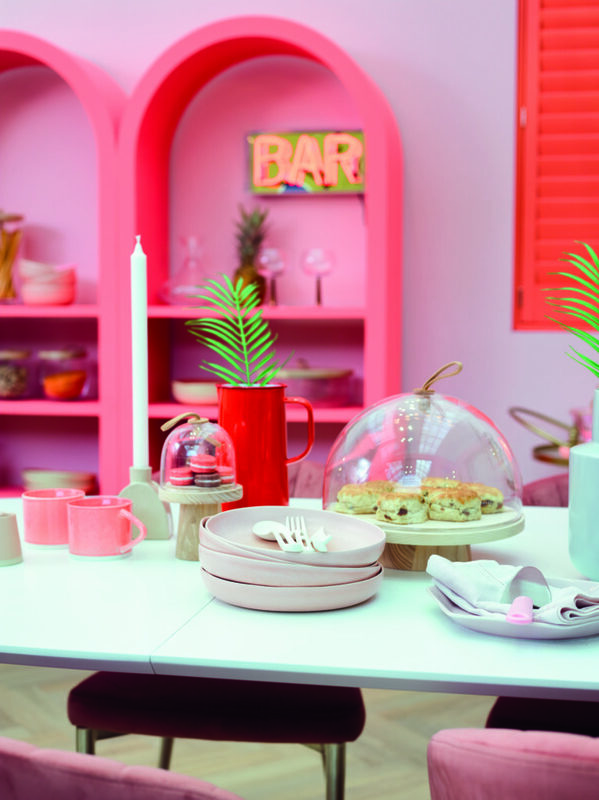 Full of bright colours, luxe materials and curvaceous shapes, this bold look plays on the Pantone 2019 Colour of the Year, Living Coral, while giving a nod to the current interior design trend of curved silhouettes. Kitt: How did you come up with the concept for this Royal Roomset, and what was the inspiration behind the look? 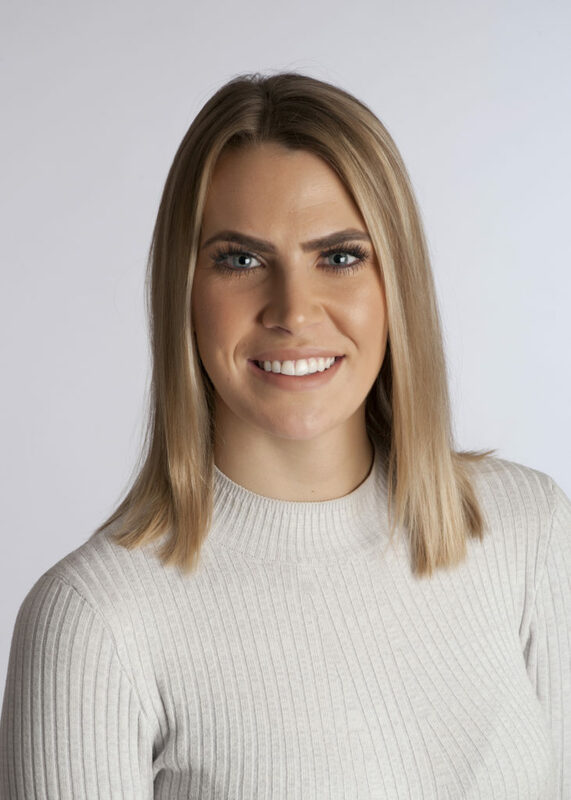 Jess: Each year the Good Homes’ roomsets are assigned a theme and with the overall concept of the Ideal Home Show being ‘Best of British’ we thought it would be fitting to design the roomsets for the Royal family. 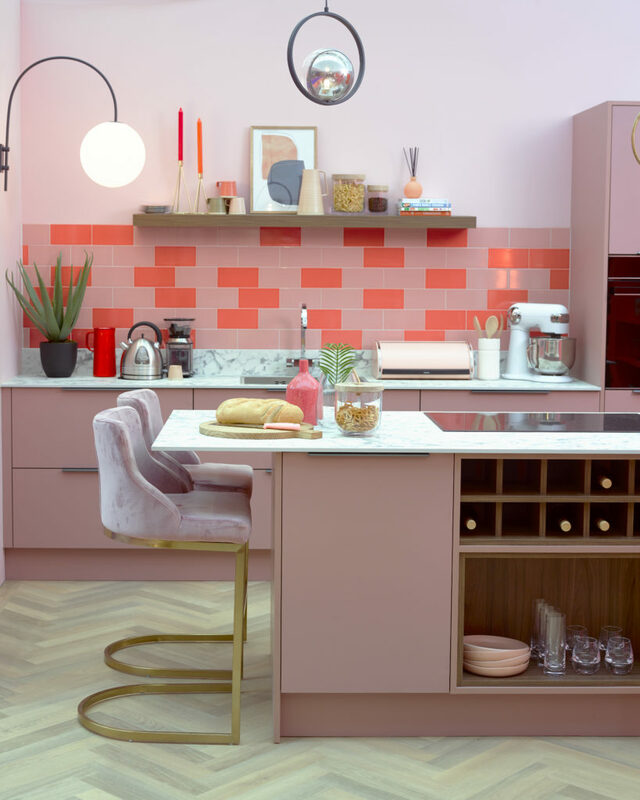 The kitchen-diner features two top trends for 2019 - Pantone’s colour of the year, Living Coral, and curvaceous silhouettes. With a glamorous nod to Meghan’s Hollywood lifestyle, the kitchen-diner had to be designed for none other than Prince Harry and Meghan Markle. The Form Blush and Brass Barstools look perfectly at home in this colourful kitchen, made to feel more mature with pops of walnut and brass. K: How do you take such a bold colour and incorporate it into a suitable style for our homes? J: The key to conjuring up an all-pink colour scheme is to combine a variety of textures to help prevent the pink from overpowering the look. 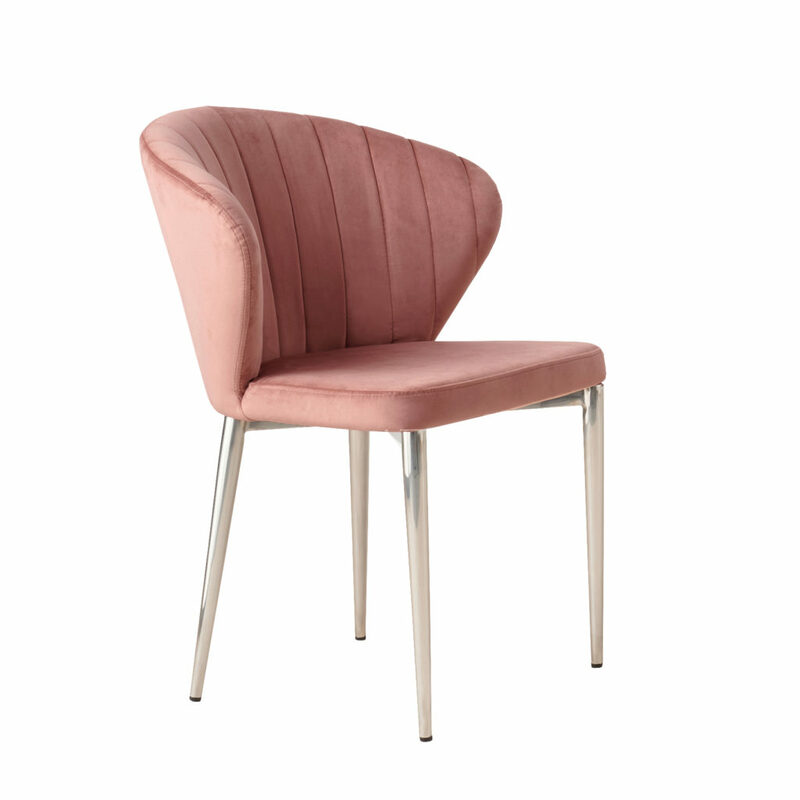 For example, we used natural elements such as herringbone flooring and marble-effect worktops and then introduced blush pink upholstered chairs and brass accents for a luxe finish. Be daring and enhance crescent-shaped furniture or make a statement with shutters by painting them three or four shades darker than the wall colour. 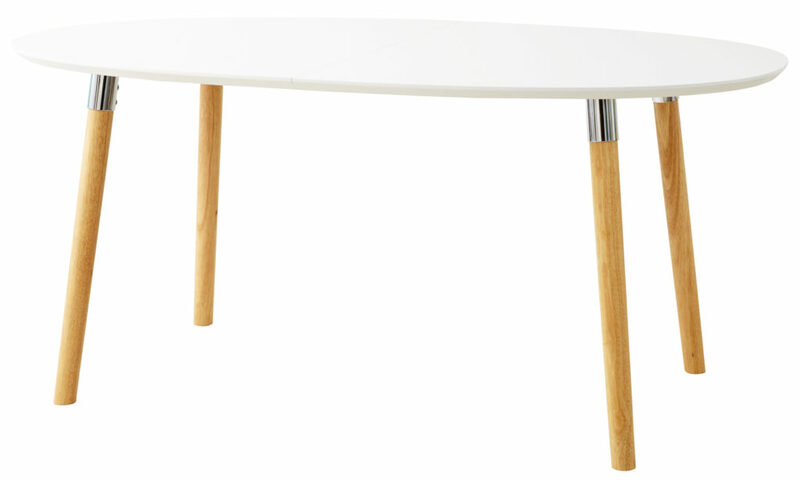 K: What did you see in the Danetti product that made you choose these pieces for the roomsets? 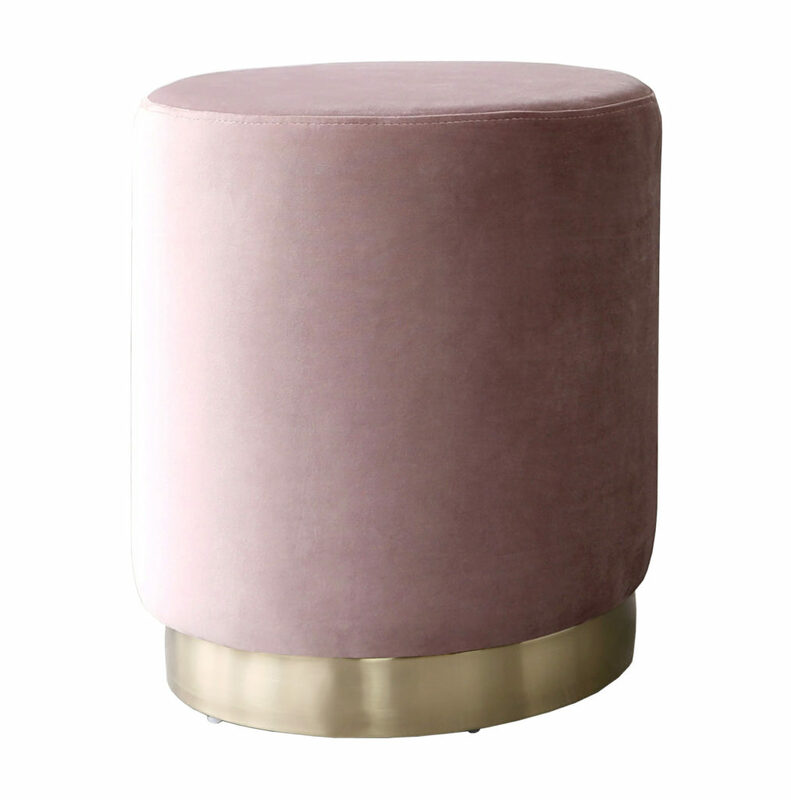 J: We wanted to elevate this tonal look with plenty of decadent materials – such as brass and velvets. 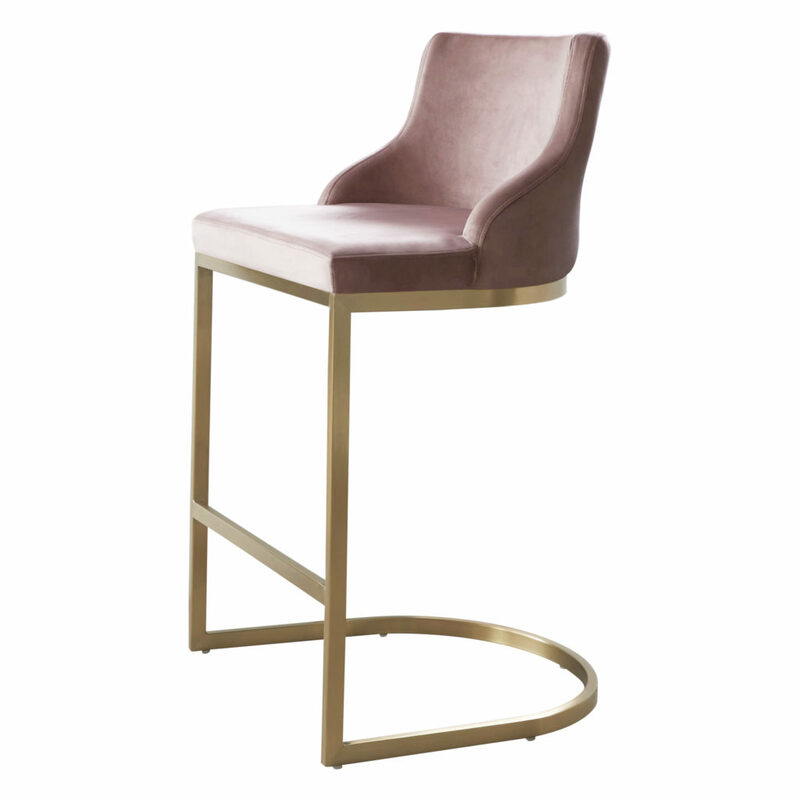 The Form bar stools with curved brass legs and Harper dining chairs featuring shell detailing on the back were perfect for achieving this Hollywood-glam scheme. K: What’s your favourite element of the roomset? J: Either the curved cabinets – we had these custom-made for this room. I learned that the carpenter put lots of tiny cuts in the wood to allow it to bend, which I found fascinating. Or, the lighting! I sourced these from a new company that instantly caught my eye. K: What advice would you give our customers and readers when it comes to using colour? J: Don’t shy away from using colour, although it can feel daunting, once you find the colours that work for you and instantly bring joy, it can be exciting and uplifting. Either introduce pops of colour with artwork and accessories or push boundaries with paint and furniture. I’d suggest sourcing lots of paint charts and visual inspiration to help discover which colours excite you. If you want to inject a bit of Living Coral into your home, but in a slightly more subtle way, as jess suggested, look at adding a pop of colour to your soft furnishings or wall art. 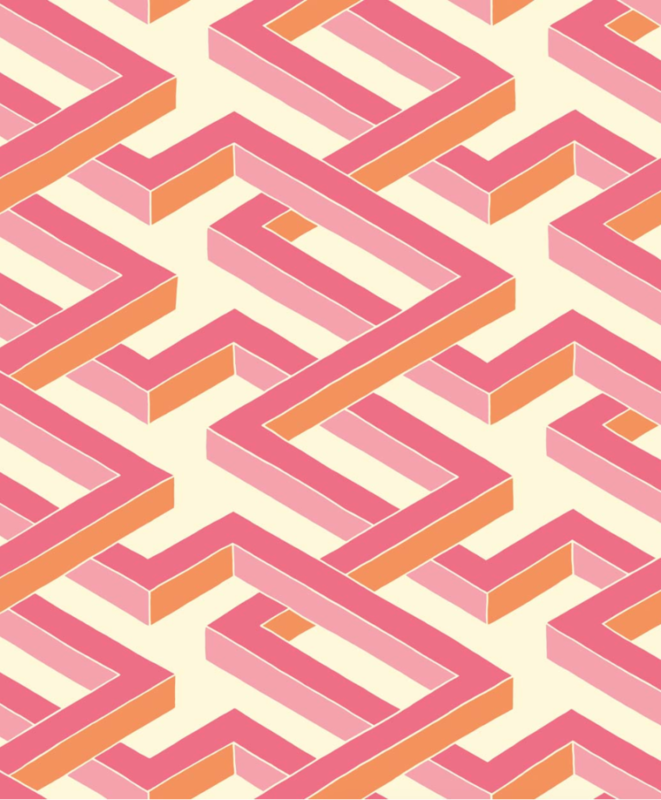 We love this wallpaper from Cole & Sons for its geometric print and combination of Coral and Pink. Look at wallpapering dresser drawers or framing a bold pattern for less commitment but max style! Love this look? Show us your Royal style and how you'll be using Living Coral in your home. Tag #mydanetti on Facebook and Instagram to be featured! Big thanks to Jess for chatting with us and credit to Gemma Gear, we hope you love this Living Coral, Royals inspired Kitchen.